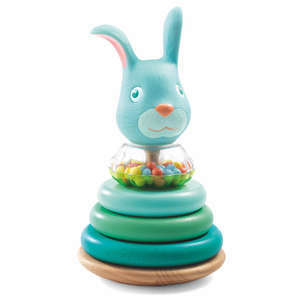 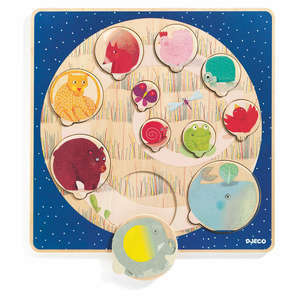 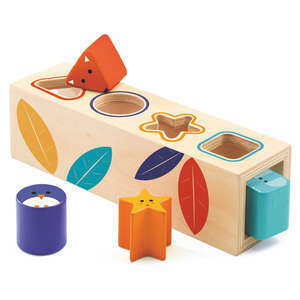 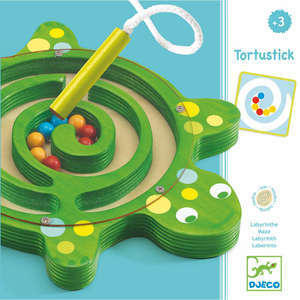 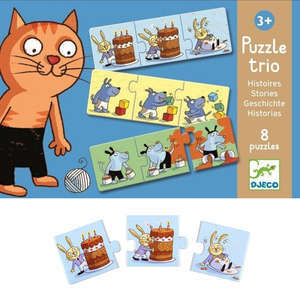 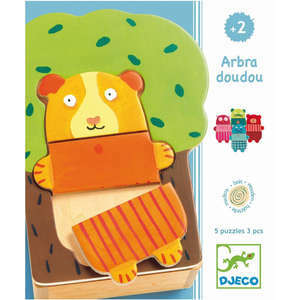 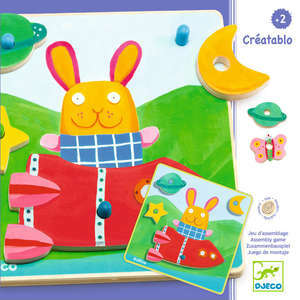 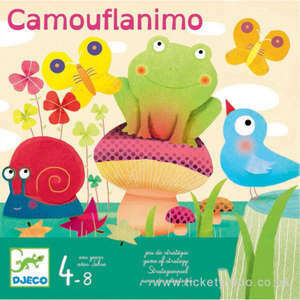 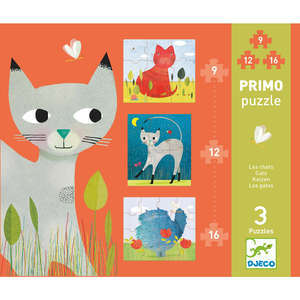 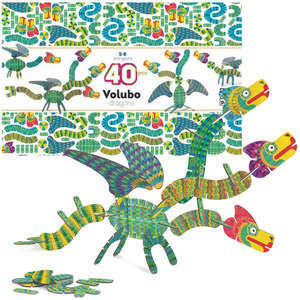 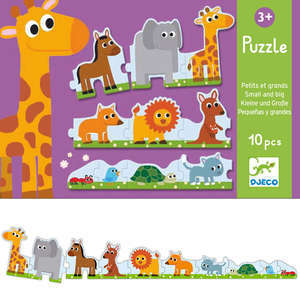 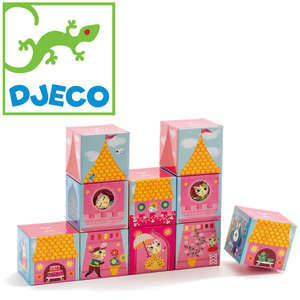 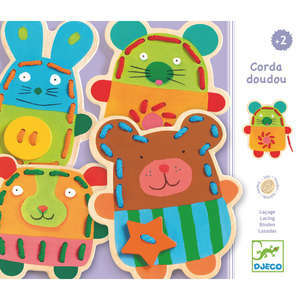 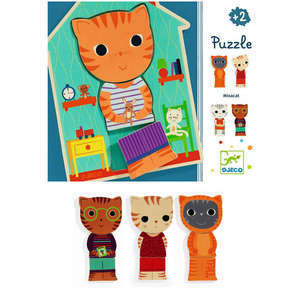 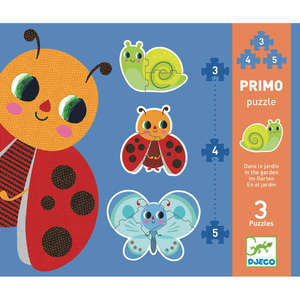 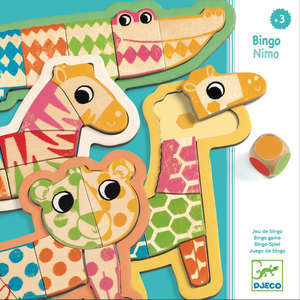 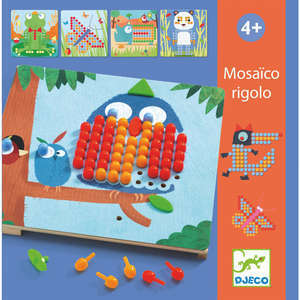 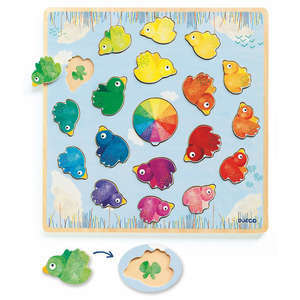 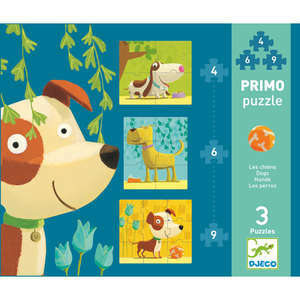 We love the moving pieces of these fun puzzle duos from Djeco. 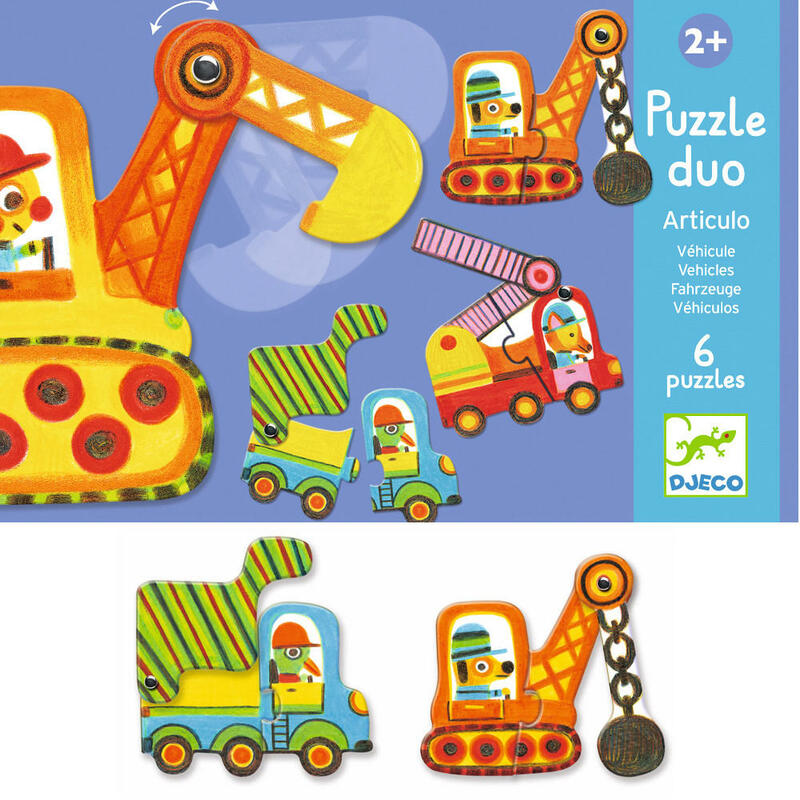 Six colourful vehicles, each with an articulated joint. 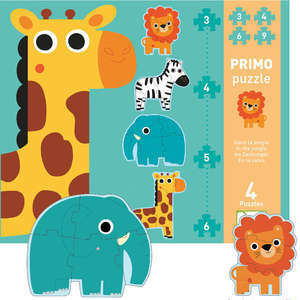 Connect the puzzle pieces and then play with the moving parts.